In Nigeria Today we discover alot of Nigerians would not be Able to get what they will eat for this festival season ..
pidgin radio an online radio station have to come and say we want to feed 50 Nigerians this season. 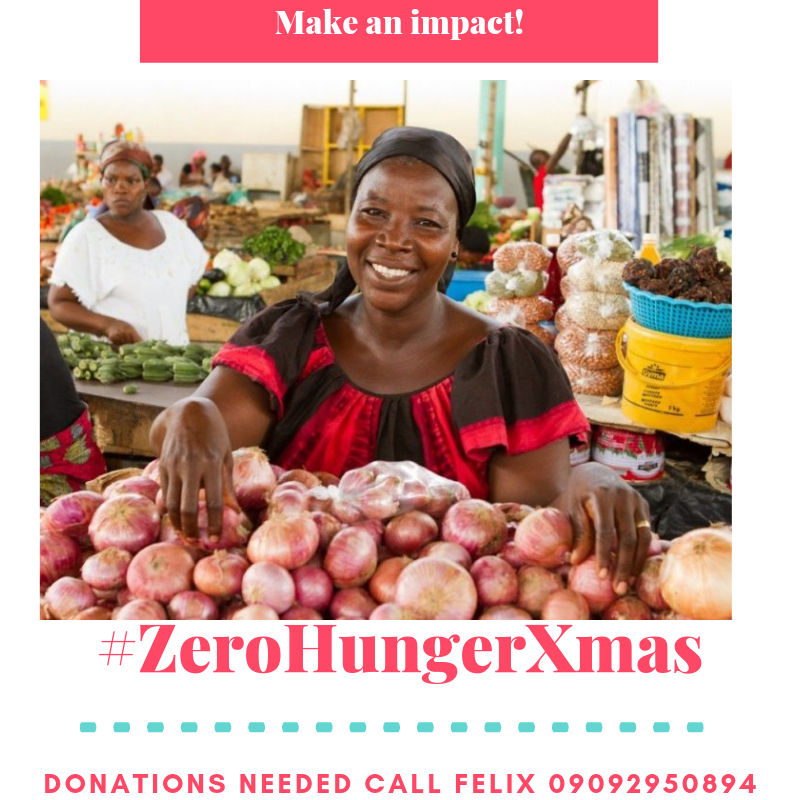 called #Zerohungerxmas #makeanimpact .Donations are needed to get 50 live chicken and bag of rices . donations will help in getting things done . those that will benefit from this are the beggars on the street of lagos. an average Nigerian that cant feed it self. the old women selling on the street of Lagos. funds will be going into getting the food items. this funds are needed asap by December 15th . Pidginradio decided To Take the zerohungerxnas To The street Of Lagos To Give A Live Chicken And A mini bag of rice. To 50 Nigerians Who cant Afford To feed there self this xmas period . The radio Will be going to churches. And Market Area Women. PiDGINRADIO would love to partner with your organization/brands To achieve this great project tomake an impact and put smile on 5o Nigerians. Nothing They small …Help Us Share on Your Social Media Handles . Thank You For Donating .